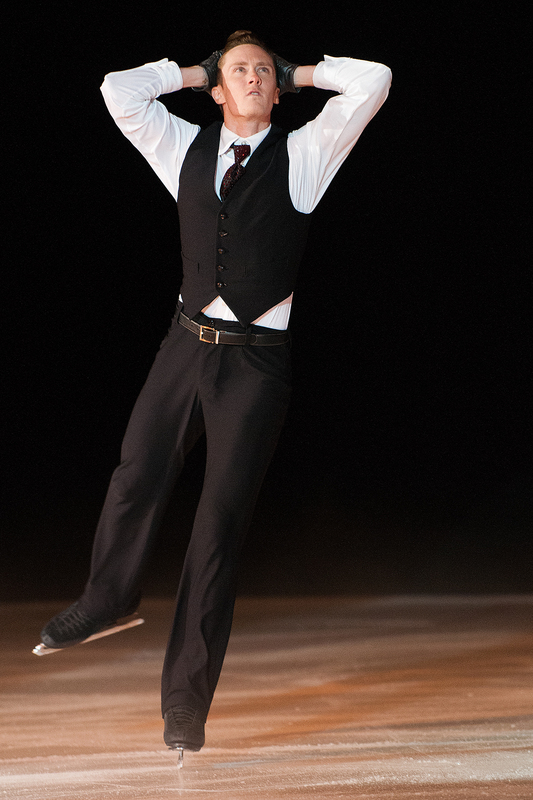 During “An Evening on Ice” in Los Angeles on July 18, Figure Skaters Online had the opportunity to catch up with four-time U.S. Champion and 2014 Olympic team bronze medalist Jeremy Abbott about recent happenings in his life, future plans, and other assorted topics. Figure Skaters Online (FSO): Tell us more about the announcement you made earlier this summer about not competing in the Grand Prix Series this year. Jeremy Abbott (JA): Actually, I am taking the entire season off now. My focus was going to be Nationals and the World Championships, but now as it stands, I am taking the entire season off. I have informed U.S. Figure Skating. FSO: Did you have programs choreographed? JA: I did. I had a long program choreographed and it was becoming, once I started working on it, that we had to keep taking out more and more elements. So it got to the point that it was empty. So I scrapped the idea and I am saving it for another venue, hopefully for a professional competition when they come back around or in a different sort of competitive environment. FSO: Are you doing any choreography for any skaters this year? FSO: Talk about the rewarding part of choreographing. JA: It’s a lot of fun. It’s a great creative outlet for me, yet, I was learning about my own skating as I was teaching others. Therefore, it was mutually beneficial. I really had to learn how to choreograph for other people’s skill sets. I had previously only choreographed for myself so I knew what I was capable of. So I have to learn another skater’s skill set, how they skate and what they can do. A lot of times they can do something I can’t and then they can’t do something that I can, so I needed to bring out their best and still impart my wisdom and vision. Sometimes if they can’t do something I wanted, I had to learn something similar without dumbing it down. If you make it too simple, they aren’t going to learn, but if you make it too difficult, they’re not going to learn it as well. You have to find a middle ground with the same idea of movement without oversimplifying it so the skater can grow and develop also. FSO: Other than choreographing, do you have other plans? JA: I was approached by other people, but that fell through so I have lots of availability now. FSO: Earlier this year, you lost your father, Danny Abbott, following a long battle with Parkinson’s disease. You did a beautiful tribute to him at Nationals. How are you coping? JA: I’m doing well. It was a really interesting time after my dad passed. I got to go home for Christmas and spend Christmas with my mom and family. My dad was also in the hospital in Colorado Springs at that time so it was kind of nice, though it may sound weird, because I got to enjoy my entire family after a very, very, very long time. I spent Christmas day with my dad and Christmas Eve with my mom. That was actually the last time I saw my dad. It was a good moment because Christmas has always been a big deal with my family. It was incredibly sad to lose my dad, but it turned out to be so beautiful. My whole family came together. My dad had plans for his burial and had specific requests. He wanted to be buried in Aspen since he lived up there for over three decades. That is also where my sister and I were born and raised. He wanted to be buried there, but we weren’t sure since most of the plots were private and there is only one public cemetery in Aspen, but it was very small. However, everything came together. They had a spot for him and it overlooked the Colorado River and the Continental Divide, which was so picturesque. You couldn’t ask for a better resting place. Lucky man, he gets to spend eternity looking at the most beautiful scenery you could possibly imagine. My dad wanted a celebration of his life rather than to mourn his death. So we had a party with his old friends in the valley and many of the friends that Gwen and I grew up with as well. It became a community. We heard so many great stories that we didn’t know. It was such a warm experience. Although we had tears, it was exactly how my dad would have wanted it. My dad lived a life he wanted to enjoy and he was there in spirit. FSO: Lightening the mood, if you were a superhero, what power would you possess? JA: To sound clichéd, the power of flight would be amazing. I think that’s something everyone dreams, like flying in our dreams. Just to have the freedom and not to be bound by gravity and certain constraints that we have. Practically, however, I think to have the ability to speak and understand every language to communicate with anyone would be amazing. FSO: How long have you been living in Detroit? JA: I’m on my seventh year and I still love it. FSO: Do you have long term plans for there? Maybe some place warmer in the winter? JA: I’m a bit nomadic. I love it for now and don’t intend to move at the moment. Once my life settles and I’m officially out of the competitive world, whenever that happens or however it happens. I love Detroit and the area, but I will go somewhere else. I’m fortunate that I can choreograph and perform and that I have a structured, but open life that I can settle anywhere. I would love to spend some time in Europe working or in the Pacific Northwest, Seattle or Portland. I’d love to be closer to my sister, but I don’t know yet. I want to travel and work, then figure out a home base that’s easy for people to get to me especially since it will be important for me to get more work choreographing. I would love to spend time located in different areas around the globe to understand what my options are and to find what would really work for me and my business. FSO: Did you have a chance to see choreographer Benji (Schwimmer) while you are in LA for “An Evening on Ice”? JA: Benji is a great friend, but he threw out his neck, so I’m sad I won’t see him. I am actually skating tonight to a program he choreographed (to Kanye West’s “Black Skinhead,” also known as “Project Wolf”). He was just in Michigan designing a program, an exhibition piece, for Kaitlyn (Weaver) and Andrew (Poje) so I did get to see him for a while. He’ll be coming to Detroit quite often this season so we’ll put more work in and you’ll get to see more of our collaborative efforts. 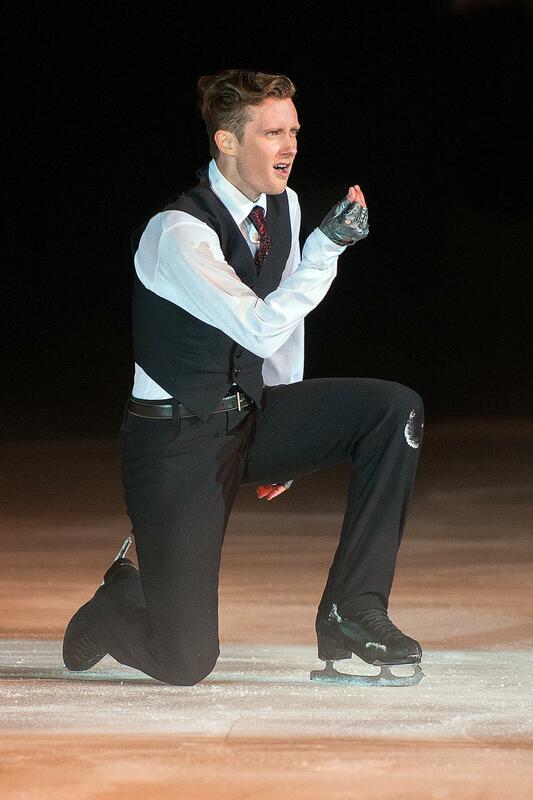 FSO: Talk about “An Evening on Ice” and how the funds go to financially challenged skaters. JA: I think this is really important. What Nick and Tricia (LaRoche) have done with the US Athletic Foundation is critical. Growing up, my family didn’t have a lot of money and it was difficult for me to figure skate. My parents had to refinance our house so that I could skate. My mom and my stepdad still work. It was a big expense. My sister and my stepbrother were in college while I was skating and that took a big toll financially on my family. It was because of foundations, like this, that I was able to continue to skate. I received money from similar foundations when I was younger and in need of help. It is because of foundations like the US Athletic Foundation, that I could continue training and eventually make it to an Olympic Games or two. I am very grateful to all the people that helped me and I feel privileged that I can give back to the future generations of the sport. Editor’s Note: Jeremy has been invited to compete as part of Team North America in the Japan Open on October 3, 2015. Figure Skaters Online hosts his official website which lists his upcoming public appearances as they are confirmed.